It's a sure sign of spring when the smell of tulips are in the airBut since the weather has been particularly cold throughout parts of Canada recently, we've got a while to wait for that yet. Luckily, Bloomex can help you out there. We've received our tulips for the spring and they're ready to be delivered to you or a loved one's front door! Tulips make a great alternative to roses on Valentine's Day, and here are 6 bouquets that we think might make for a lovely present on the big day. 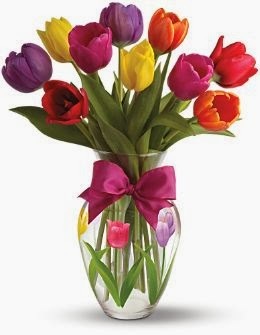 Show your love with 10 beautiful, fresh-cut Tulips at a price that can't be beat. What's better than ten tulips? 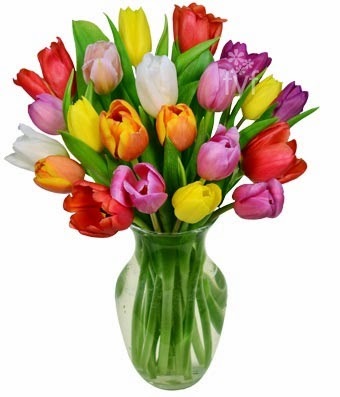 You guessed it -- 20 tulips, for under $40! 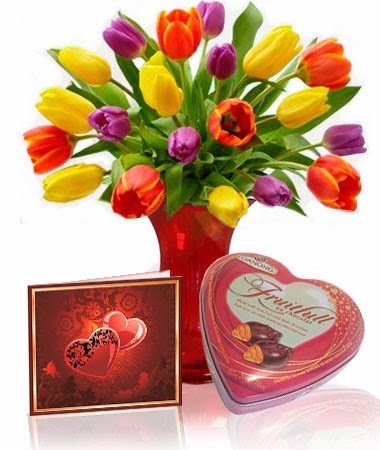 The same bouquet as above, but with a personalized greeting card and a heart-shaped tin of chocolates included for one great price. 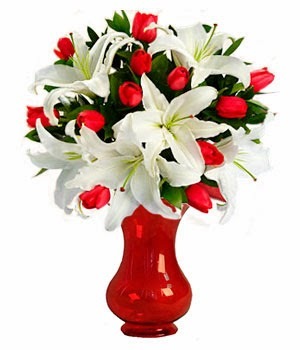 Tulips and Lilies make for a lovely combination in this bouquet with the red and white tones contrasting perfectly. The perfect package for Valentine's Day! 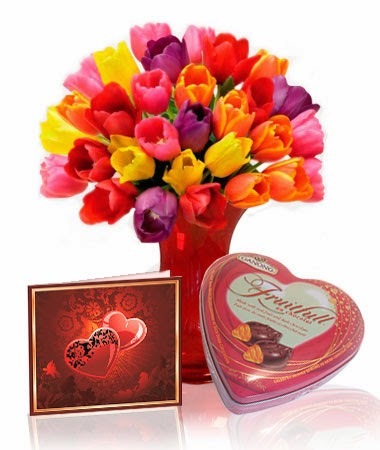 Thirty Tulips are arranged with a tin of chocolates and a card. What a vibrant, unique look for the special day. 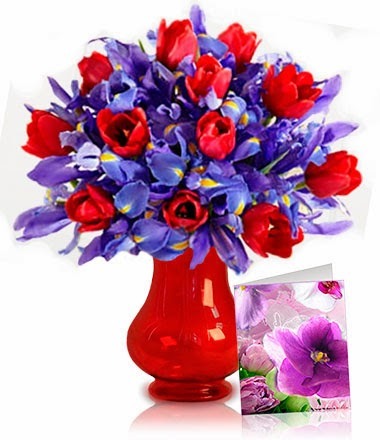 This bouquet includes a personalized greeting card. 5 Great Gift Baskets for Valentine's Day It's a sure sign of spring when the smell of tulips are in the air. But since the weather has been particularly cold throughout parts of Canada recently, we've got a while to wait for that yet.